We have 3 sales beginning today! All over the place! Come see us! That’s right. 3. As in three pugs in a bathtub and if you don’t think that’s too stinkin’ cute — well – I fear I may be doing your sale next. Ahem. 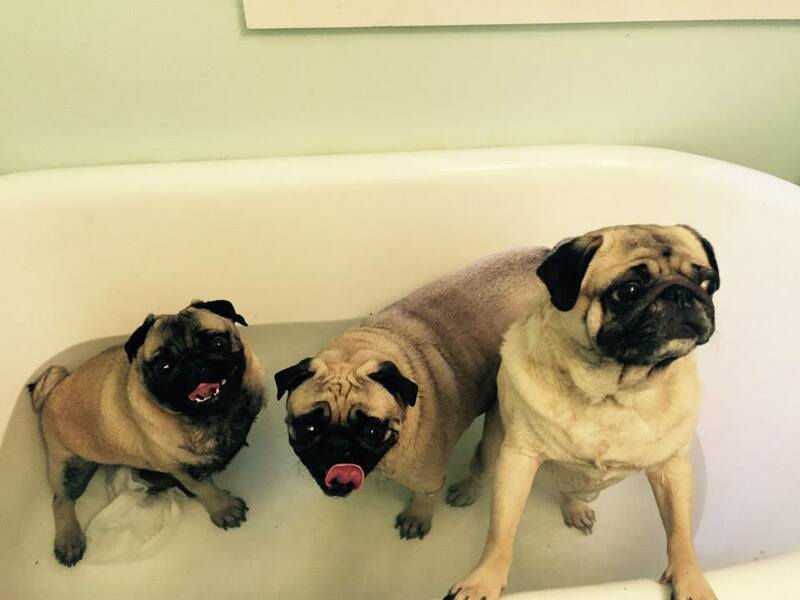 And yes — those are my pigglie pug girls getting a bath. Olive, Finnegan and Piper (trying to escape). Little known fact (although I know it quite well) Pugs smell like Fritoes when wet.